As of Tuesday, non-diet sodas over 16 oz. will be illegal to serve in the city, and customers drinking coffee may find themselves making their own drinks. New York City’s much debated ban on selling sodas in cups, glasses, or pitchers that hold over 16 oz. will go into effect Tuesday, thus changing how city eateries offer these sugary drinks. Many restaurants, sports arenas, and street carts are preparing by ordering smaller cups and glasses and getting rid of large cups, and movie theatres are also changing their soda sizes and deals. One bowling lounge is going so far as to squeezing carrot and beet juice to serve to customers as a replacement for its typical pitchers of soda. This is the first ban on sugary drinks in the nation. Due to this restriction being in its inaugural stage, many restaurants and eateries are waiting to make changes to their menus and glassware to see if there will be backlash and a repeal of the ban. These companies who choose not to adapt will not be immune to punishment. 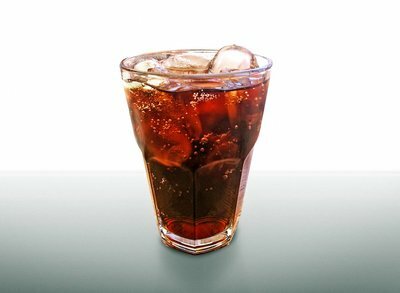 If a company is found serving non-diet soda in a container over 16 oz., they may face a $200 fine. The restriction also crosses over into coffee and tea, as neither can be served with more than three to five packets of sugar, depending on the type of drink. As a result, Dunkin’ Donuts and McDonald’s employees can put that maximum amount of sugar in a beverage, but if customers want more, they will have to simply add their own sugar. Starbucks, on the other hand, remains recalcitrant in the situation, and will wait to see if the ban will be repealed. A lawsuit to have the ban repealed was filed by the American Beverage Association, the National Restaurant Association, the National Association of Theater Owners, and other groups is currently pending litigation. Subject: LongIsland.com - Your Name sent you Article details of "NYC's Ban on Large Sodas Begins Tuesday"